Patch 4.2 Trailer Provides Action-Packed Preview of Dungeons, Raids, and More. Warriors of Light are urged to take up arms with the release of FINAL FANTASY XIV Online’s latest update on January 30. 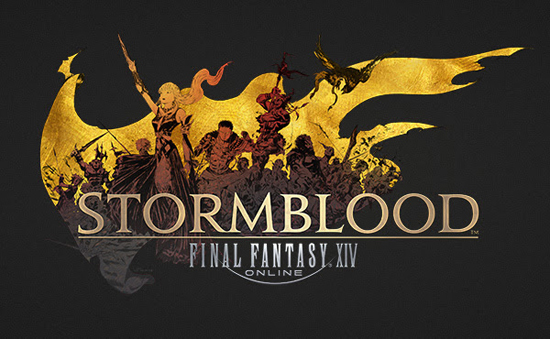 Patch 4.2, entitled Rise of a New Sun, brings a wealth of new content to the critically acclaimed MMO and continues the tempestuous story of the Stormblood expansion. Adventurers will also be able to test their might against the next fearsome arc in the Omega raid series, explore two new dungeons, and face off against the first of the legendary Four Lords in a challenging new trial. 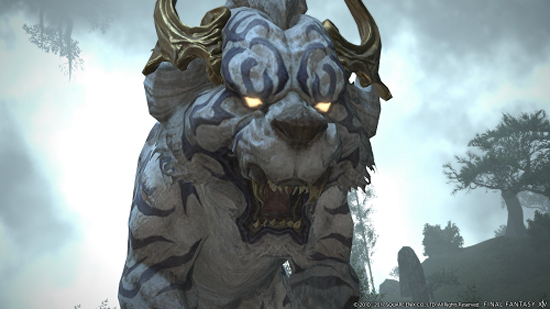 New Main Scenario Quests – Thanks to the Warrior of Light’s heroic deeds and Raubahn's long-awaited return, Ala Mhigo continues its steady march towards recovery. All is not well in the East however, with worrying rumors coming out of Doma. New Raid Dungeon – The next arc in the Omega raid series, Omega: Sigmascape, arrives to test the Warrior of Light’s skills even further. With familiar faces from FINAL FANTASY V appearing previously, today’s trailer shows the Sigmascape populated with features very reminiscent of FINAL FANTASY VI. New High-level Trial – Meet one of The Four Lords, Byakko, in this challenging new trial that begins a new series of side quests. New Dungeons – Two new high-level dungeons: Hells’ Lid and The Fractal Continuum (Hard). 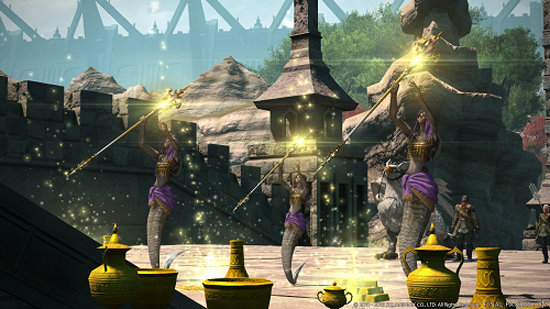 New Beast Tribe Quests – The Vira, one of the tribes of the snake-like Ananta, have long supported the efforts of the Resistance by sending warriors to bolster their ranks. Now, they turn to the Warrior of Light for help. Glamour Dressers – Convert equipment, weapons, and tools into glamours at inns and combine them into a complete ensemble for convenient customization of player outfits. The Feast PvP Updates – Alongside a new ruleset and the addition of The Crystal Tower Training Grounds map, the new PvP Team System will allow groups of up to six players to compete in ranked matches while communicating using a special group chat function. A New Duty Recorder Feature – Analyze raid encounters from multiple viewpoints to improve tactics or relive your greatest battles with this new video playback feature. Housing Updates – New wards and subdivisions will be added to each of the four residential areas. Updates to bard’s performance actions, additional inventory through the use of a new companion storage feature, new equipment and more.